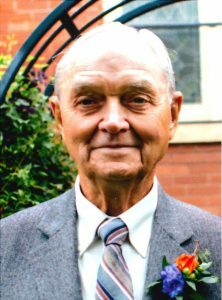 Ernest "Ernie" E. Egr, 84, of Linwood, died Thursday, November 24, 2016, at Nebraska Medicine in Omaha. "Ernie" E. Egr, 84 of Linwood, NE entered into eternal rest on Thursday, November 24, 2016 in Omaha, NE surrounded by his family. He was born July 22, 1932 in Saunders County, near Malmo, NE to Adolf and Rose (Viglicky) Egr. He attended grade school at District 1 and District 10 in Butler County. They later moved to Linwood, NE and Ernie graduated from Schuyler High School in 1949. He enlisted into the U.S. Army, Korean Conflict in 1953. While stationed at Fort Riley, KS, he attended truck drivers school and later tested army trucks in Phoenix, AZ. He was discharged as an honorable Sergeant. On June 18, 1955, he was united in marriage to Janice A. Kriz at St Mary's Catholic Church in Linwood, NE. Three children were born to this union. After getting married, he went to Milford Trade School for two years and graduated as an auto mechanic. He operated his own mechanic shop in Linwood from 1957 until the big flood in 1963 that destroyed his shop and forced it to close. Ernie managed the Linwood Co-op from 1963 to 1973. He worked in the office at Wagner Mills from 1973 to 1976. Later he was employed at the Schuyler Packing Plant as a boiler operator from 1976 to 1994. Ernie was a substitute rural mail carrier employed at the Cedar Bluffs, NE post office and was appointed a permanent mail carrier there from 1994 to 2005 when he retired. Ernie served on the Linwood School Board and Linwood Village Board for many years. He joined the Linwood Volunteer Fire Department in 1955 where he served as fire chief for 28 years and treasurer for over 30 years. He was an active member on the department for over 61 years. He also served as a member on the Linwood Rural Fire District. Since his retirement, he made it a daily habit of always checking out the fire station. He was also a member of the Schuyler Fraternal Order of Eagles. Ernie and Janice made their home in Linwood for over 61 years. He loved his family, always attending the grandchildren's activities and being a large part of everyone's lives. Ernie was all about doing the right thing. He was a born mechanic and was always repairing something. He enjoyed the simple joys of life. Ernie is survived by his wife, Janice of 61 years and three children: Nancy (Bill) Gaynor of Bellevue, NE; Jane (Chuck) Pekny of Clarkson, NE; Gene Egr of Schuyler, NE. Four grandchildren: Ashley (Jeren) Hicks of Papillion, NE; Krista (Adam) Jacot of Hadar, NE; Trent Pekny of Omaha, NE and Daniel Egr of Hooper, NE. Brother Leonard Egr of west Des Moines, IA, sister Janice Eaton of Linwood, sister-in-law Marilyn Macholan of Linwood. One great-granddaughter, Kathryn Rose Hicks of Papillion, NE and many nieces, nephews and friends. He is preceded in death by his parents Adolf and Rose (Viglicky) Egr, brothers-in-law Wilfred Macholan and Jack Eaton, and sister-in-law Shirley Egr.